Thanks to my cousins for sending photocopies of these pages to me. 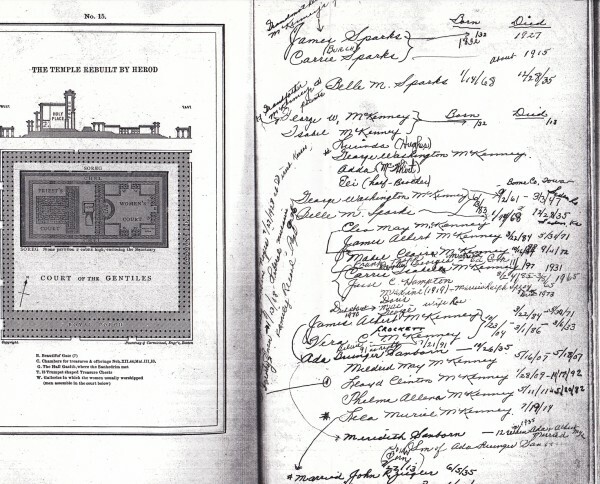 Lloyd McKenney’s bible was used for recording some family history. I didn’t see it until about 2003. 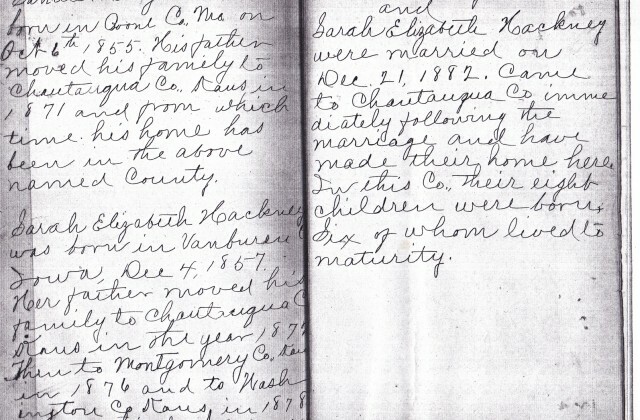 The genealogy I received as a child wasn’t in the bible, it was instead on loose paper, but in the case of the Hackney and McKenney families it was much as in the bible. The Crockett’s went back more generations. We have a page recording the bible was a gift from a Rev. Paul Barth of the First Luther Church of Ponca City, Oklahoma in 1944. All the below images link to larger images. 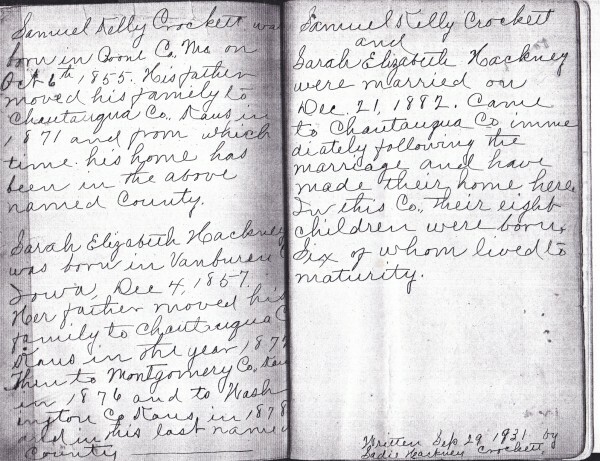 The below page records a brief history of Samuel and Sadie Elizabeth Hackney Crockett, written by Sadie on Sep 29, 1931, transcribed by Lloyd into the bible. 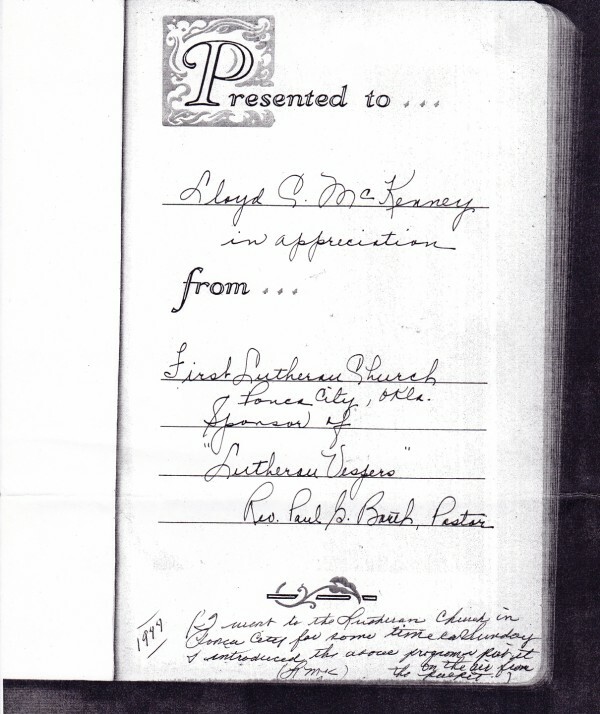 The below page is Lloyd’s recording of the McKenney line from George W. McKenney and Isabel. A good bit of info was missing on the family at that time. 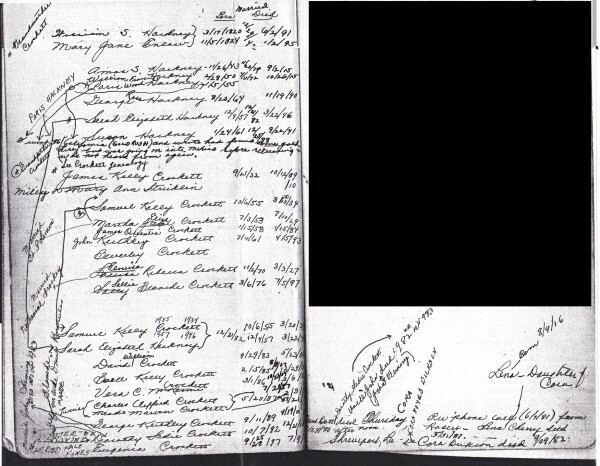 The below page concerns again the Hackneys and also the Crocketts. 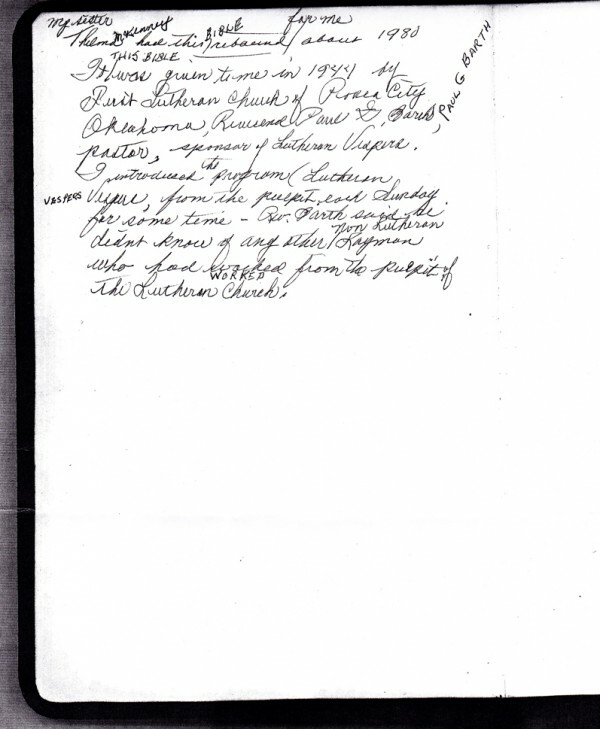 Lloyd notes a trip made to Tennessee to try to verify the Crockett genealogy. 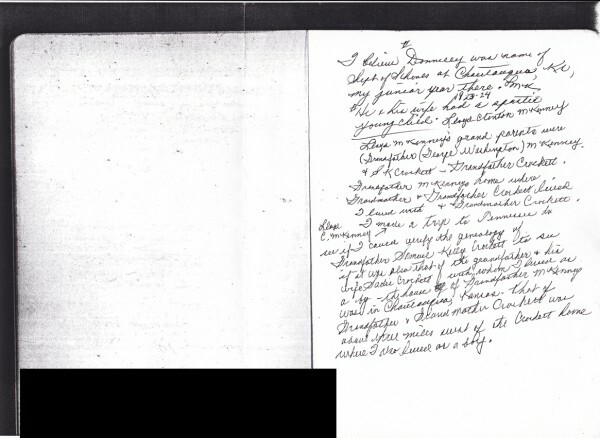 Lloyd writes of the gift of the bible to him and that his sister, Thelma, had it rebound for him. 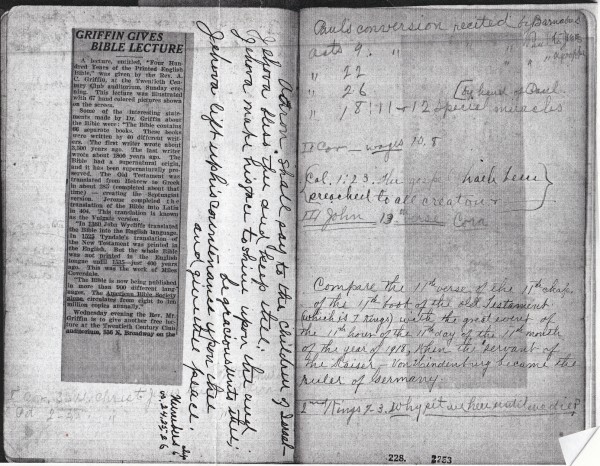 Lloyd’s notes on bible verses.